3.7.1.10 CAUTION: As governments are spending down federal awards issued prior to December 26, 2014, this section covers both the requirements of OMB Circulars (A-87 Cost Principles and A-102 Administrative Requirements) and the Uniform Administrative Requirements, Cost Principles, and Audit Requirements for Federal Awards 2 CFR 200 (Uniform Guidance), which supersedes the OMB Circulars for awards issued on or after December 26, 2014. Click here for the new Uniform Guidance. The requirements described below apply to all local governments who expend federal funds or pass funds through federal funds to subrecipients. Federal assistance can be provided to state and local governments in many forms including project grants, block grants, formula grants, cost reimbursement contracts, loans, loan guarantees, insurance contracts, real property, and personal property. The following procedures apply to programs funded with state and interlocal monies as well as federal funds. This section does not apply to most entitlements or shared revenues, which are treated essentially as local revenues. 3.7.1.20 Excerpts from the Uniform Guidance, 2 CFR 200, and Office of Management and Budget (OMB) Circular A-133, Circular A-87, and Circular A-102 (the Common Rule) are provided in this section. Please note that there are many additional federal laws and regulations that may apply to your grants and loans. Copies of these circulars and other federal documents can be obtained from the OMB website (the link to Uniform Guidance is above). 3.7.1.30 If municipalities are still spending down grants received as part of ARRA, they are still required to have an accounting system that enables them to separately identify how they spent the ARRA funding (2 CFR 176.210). 1) Identification, in its accounts, of all Federal awards received and expended and the Federal programs under which they were received. Federal program and Federal award identification must include, as applicable, the CFDA title and number, Federal award identification number and year, name of the Federal agency, and name of the pass-through entity, if any. (2) Accurate, current, and complete disclosure of the financial results of each Federal award or program in accordance with the reporting requirements set forth in §§200.327 Financial reporting and 200.328 Monitoring and reporting program performance…. (3) Records that identify adequately the source and application of funds for federally-funded activities. These records must contain information pertaining to Federal awards, authorizations, obligations, unobligated balances, assets, expenditures, income and interest and be supported by source documentation. (4) Effective control over, and accountability for, all funds, property, and other assets. The non-Federal entity must adequately safeguard all assets and assure that they are used solely for authorized purposes. See §200.303 Internal controls. (5) Comparison of expenditures with budget amounts for each Federal award. (6) Written procedures to implement the requirements of §200.305 Payment. 1. Financial reporting. Accurate, current, and complete disclosure of the financial results of financially assisted activities must be made in accordance with the financial reporting requirements of the grant or subgrant. 2. Accounting records. Grantees and subgrantees must maintain records which adequately identify the source and application of funds provided for financially-assisted activities. These records must contain information pertaining to grant or subgrant awards and authorizations, obligations, unobligated balances, assets, liabilities, outlays or expenditures, and income. 3. Internal control. Effective control and accountability must be maintained for all grant and subgrant cash, real and personal property, and other assets. Grantees and subgrantees must adequately safeguard all such property and must assure that it is used solely for authorized purposes. 4. Budget control. Actual expenditures or outlays must be compared with budgeted amounts for each grant or subgrant. 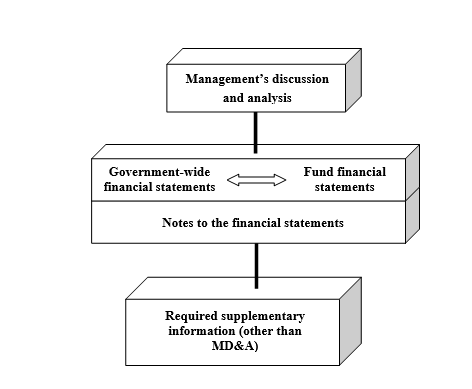 Financial information must be related to performance or productivity data, including the development of unit cost information whenever appropriate or specifically required in the grant or subgrant agreement. If unit cost data are required, estimates based on available documentation will be accepted whenever possible. 5. Allowable cost. Applicable OMB cost principles, agency program regulations, and the terms of grant and subgrant agreements will be followed in determining the reasonableness, allowability, and allocability of costs. 6.Source documentation. Accounting records must be supported by such source documentation as canceled checks, paid bills, payrolls, time and attendance records, contract and subgrant award documents, etc. See Original Supporting Documentation for information regarding original supporting documentation. 7. Cash management. Procedures for minimizing the time elapsing between the transfer of funds from the U.S. Treasury and disbursement by grantees and subgrantees must be followed whenever advance payment procedures are used. Grantees must establish reasonable procedures to ensure the receipt of reports on subgrantees' cash balances and cash disbursements in sufficient time to enable them to prepare complete and accurate cash transactions reports to the awarding agency. When advances are made by letter-of-credit or electronic transfer of funds methods, the grantee must make drawdowns as close as possible to the time of making disbursements. Grantees must monitor cash drawdowns by their subgrantees to assure that they conform substantially to the same standards of timing and amount as apply to advances to the grantees. 3.7.1.50 For new awards and additional funding increments to existing awards issued by the federal government on or after December 26, 2014, expenditures of federal funds and costs claimed for reimbursement or used for matching must be determined in accordance with Subpart E – Cost Principles of the Uniform Guidance: 2 CFR 200 (§§.400-.475). 3.7.1.51 Expenditures of federal funds and costs claimed for reimbursement or used for matching must be determined in accordance with the OMB Circular A-87, Cost Principles for State and Local Governments. 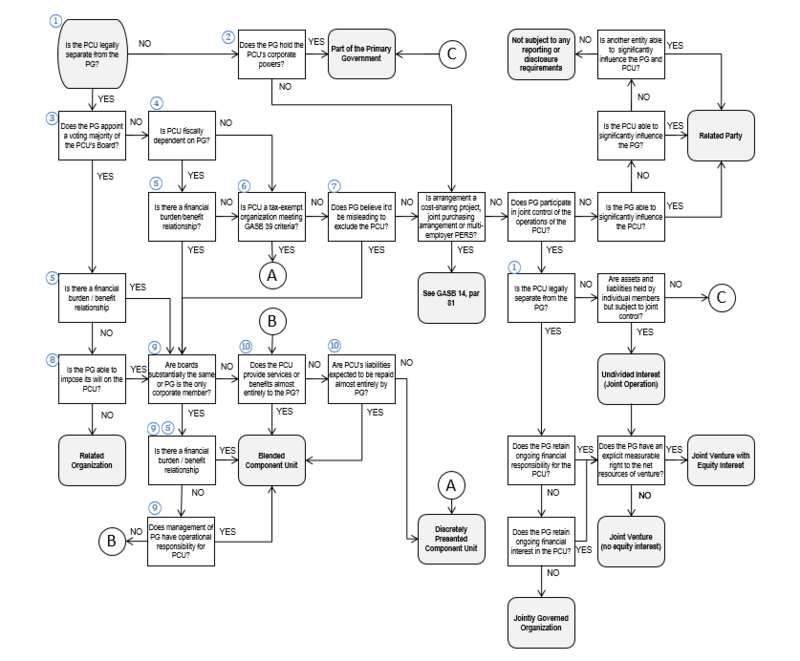 This circular provides criteria for determining whether costs are necessary, reasonable, and allocable. It also lists specific types of costs and expenditures that are allowable and unallowable. 3.7.1.60 Subpart F – Audit Requirements (§§.500-.521) set forth the uniform requirements for audits of federal financial assistance provided to state and local governments and is effective based upon the entity fiscal year and not the date of the award. Uniform Guidance audit requirements are effective for audits of fiscal years beginning on or after December 26, 2014. A non-Federal entity that expends $750,000 or more during the non-Federal entity's fiscal year in Federal awards must have a single or program-specific audit conducted for that year in accordance with the provisions of this part. 4. Prepare appropriate financial statements, including the Schedule of Expenditures of Federal Awards (SEFA aka Schedule 16) (§§200.508 and .510). See SEFA requirements here. 7. Ensure a reporting package and a Data Collection Form are submitted to the Federal Audit Clearinghouse by the applicable deadline (§200.512). 3.7.1.80 Governments that expend less than $750,000 in a year in federal awards are exempt from federal audit requirements for that year, but records must be available for review or audit by appropriate officials of the federal agency, pass-through entity, and General Accounting Office (GAO). 3.7.1.90 The Single Audit Act provides that an audit made in accordance with the Uniform Guidance should be in lieu of any financial or financial compliance audit required under individual federal assistance programs. To the extent that a single audit provides federal agencies with information and assurances they need to carry out their overall responsibilities, they should rely upon and use such information. However, a federal agency should make additional audits which are necessary to carry out its responsibilities under federal law and regulation. Any additional federal audit effort should be planned and carried out in such a way as to avoid duplication. 3.7.1.100 To satisfy the requirements of the Single Audit Act and generally accepted accounting principles, the following accounting for grants is prescribed. Grants may be accounted for in the same funds as other operations of a municipality or in one or more separate “grant funds,” depending upon grant terms. The Governmental Accounting Standards Board (GASB) recommends that governments establish and maintain the minimum number of funds consistent with legal specifications and operational requirements. Grant transactions coded within the same fund as other operations may be distinguished by using the BARS local option codes. Grants must be accounted for in the type of fund appropriate for the activities being financed. If a grant is to be used for general governmental purposes, it should be accounted for in the general (current expense) or a special revenue fund. If a grant is received for the payment of principal and/or interest on general long-term debt, it should be accounted for in a debt service fund. If a grant is received to support operations of, or acquire capital assets for, a proprietary fund, the grant should be accounted for in a proprietary fund. Other capital grants should be accounted for in capital projects funds. See separate discussion in Pass-Through Grants. At the inception of a grant (award notification), one or more project codes should be assigned locally to identify the particular grant. This coding must be incorporated into the basic coding structure the municipality uses to identify all its transactions. Any available field or fields may be used, so long as the results do not interfere with the prescribed seven-digit BARS code. The use of multiple codes may be necessary when there is more than one source of funds for a particular grant. For example, when some expenditures must be charged to particular revenue sources or are not allowed under some grantors’ terms, separate budgets for such sources must be established. In addition, it may be desirable or necessary to account for the local share of costs (match) or program income in separate projects. The value of separate projects is that they immediately segregate budgets, revenues, expenditures, cash accounts, receivables, and payables for each grant and for the related non-grant resources used to accomplish the project or operate the program. Within this project or set of projects, the municipality should account not only for grant resources and expenditures but also for the municipality’s own contributions to the project or program and for related program income. This is necessary to ensure uniform accounting for the entire project or program, not merely that portion supported by grant money. As soon as the terms of the grant award are known, the grant budget entries are to be made. If the exact terms of a grant agreement are not known when expenditures begin to be incurred, approximate budgets must be entered. These entries are not the municipality’s own appropriation entries, which are still required. To distinguish the grant budget from the municipality’s own appropriated budget, municipalities may use the separate budgetary control accounts 296.10 Grants Authorized and Continuing Grant Appropriation, 296.20 and the separate nominal control accounts, 297.10 Life-To-Date Resources, and 297.20 Life-To-Date Expenditures/Uses. This results in tracking two budgets for the same expenditures because the grant fiscal period often will not coincide with the municipality’s fiscal period. In these cases, continuing appropriations will be necessary. The Life-To-Date Resources and Life-To-Date Expenditures/Uses accounts are used to keep track of the resources/uses for the grant projects from inception of the grant through the current date. Comparison of these accounts to the 296 accounts (see above) will yield budget analysis on a project basis as opposed to current year transactions. If a separate grant fund is used, the municipality’s own legislated appropriation should be limited to the fund total, and the detail budget should be the terms contained in the grant award and related agreements. If the grant is accounted for within a fund that accounts for other operations of the municipality, either the grant terms or the municipal appropriation may be used for the detail budget. Using the municipal appropriation for the detail budget has the disadvantage that, although grant revenues and expenditures will be identified as they are incurred, they will not be compared to the detailed grant budget and therefore the municipality may have to absorb some grant related costs that turn out not to dovetail with the grant budget restrictions. A set of grant schedules is prepared as shown in the Expenditures of Federal Awards (Schedule 16). These schedules meet federal requirements for the Single Audit. After these schedules are complete, the life-to-date control accounts are closed to allow the preparation of a balance sheet. The life-to-date control accounts are reopened as the first journal entry of the succeeding fiscal year. The value of noncash awards (e.g., food stamps, food commodities, supplies and equipment, etc.) should be accounted for and reported on the Schedule of Expenditures of Federal Awards (Schedule 16) as the fair market value of non-cash awards received during the year, as determined by the awarding agency. The notes to the schedule should disclose the nature of the amounts reported.